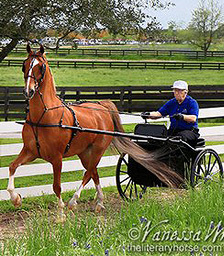 The picturesque 140 acre facility is located in the heart of Bluebonnet country amid the rolling hills of Austin County, Texas and is dedicated to the promotion of the American Saddlebred Horse. 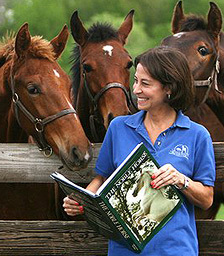 Bluebonnet Farm is both a breeding and show stable, offering riding and driving lessons to horse owners and enthusiasts alike, from beginners to seasoned show competitors. Enjoy our expanded website and please let us know if we can answer any questions about our facility, programs or the horse that America created. Click here for Map and directions to the farm. COPYRIGHT© 2000 - 2013, BLUEBONNET FARM - ALL RIGHTS RESERVED, with the exception of the photographic images which are Copyright by the individual photographers who retain all rights to their subsequent distribution.